View More In Cat-Back Systems. Borla Stainless Steel ATAK Cat-Back Exhaust System has been designed for a Corv C6 2005-2008 6.0/6.2L V8 with automatic or manual transmission. It features four 4 inch round angle cut tips with rolled edges. 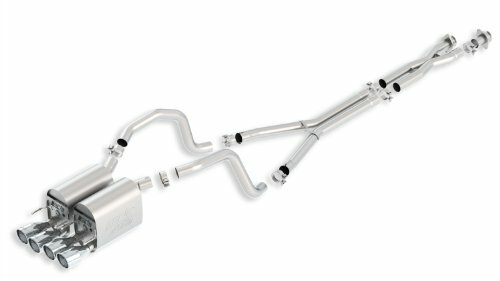 This system is made completely from 300 series stainless steel and is also guaranteed to be emissions legal in all 50 states. This system is covered by the Borla Million Mile warranty. If you have any questions about this product by Borla, contact us by completing and submitting the form below. If you are looking for a specif part number, please include it with your message.